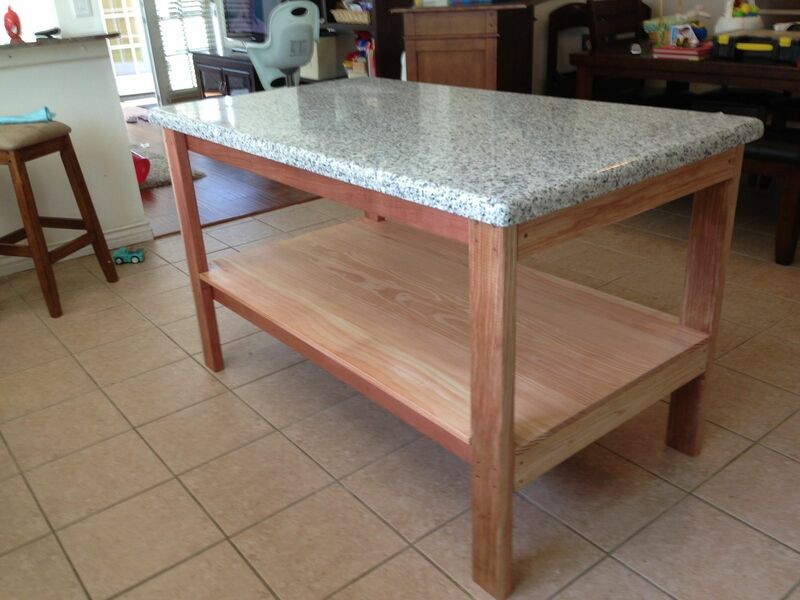 Redwood frame and clear doug fir shelf with granit counter top. Approx. 57" x 31".